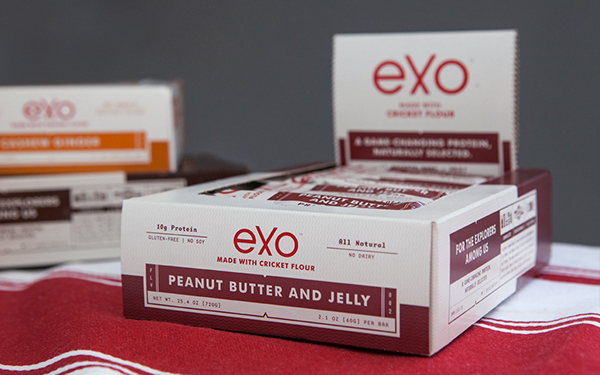 Exo’s mission is to normalize the consumption of insects. 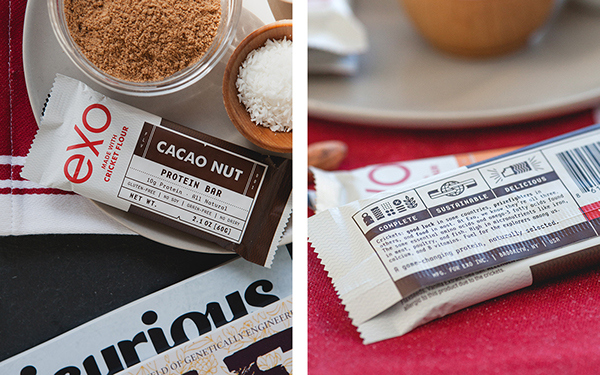 Insects are a far more sustainable food source than poultry, fish or meat and have just as much nutritional value. 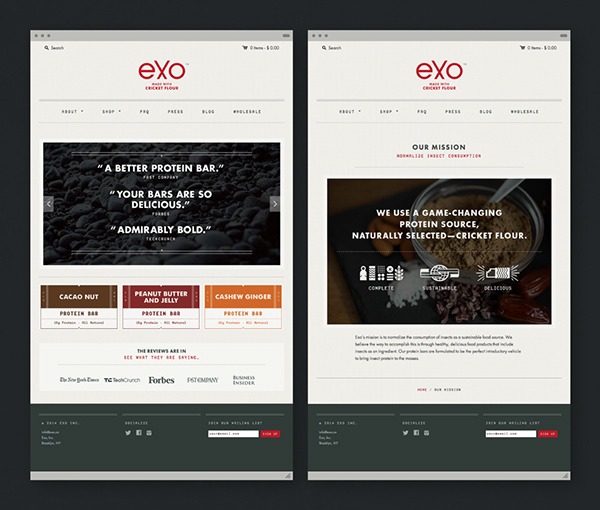 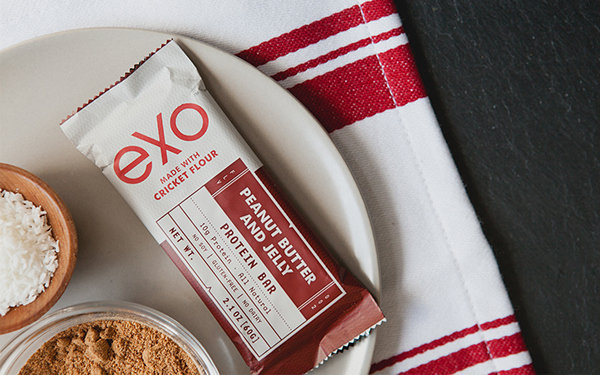 For their first product Exo has created a delicious protein bar from cricket flour. 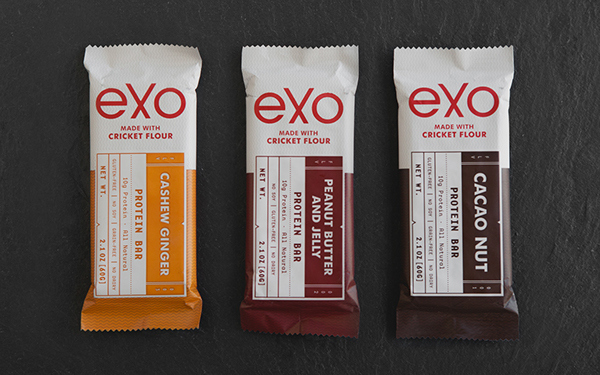 Building a brand that encourages Western cultures to challenge the taboo of eating insects is no easy task. 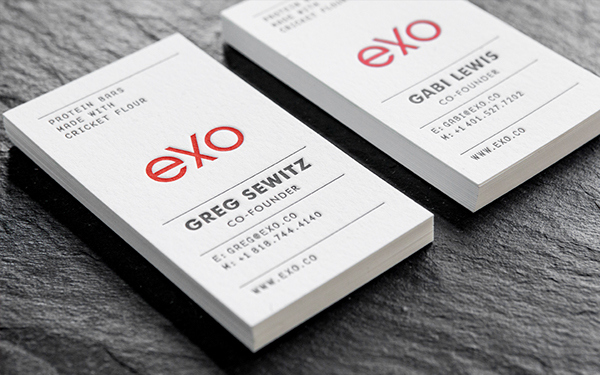 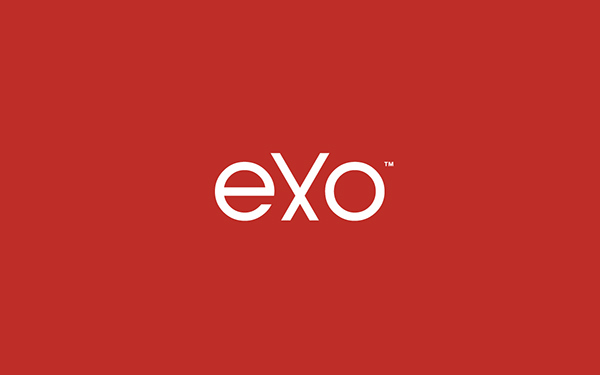 Exo's identity and products were designed to showcase the brand's natural curiosity, universal appeal and visionary mission. 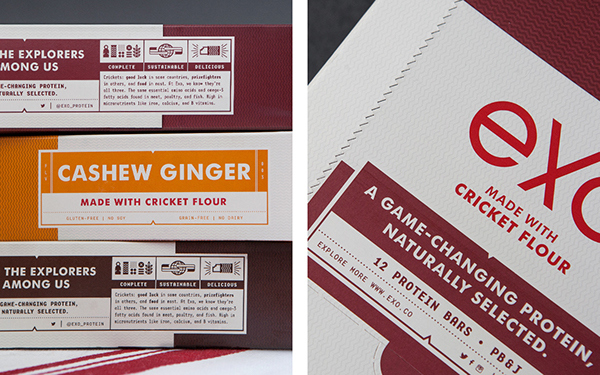 The copy invites the adventurous and reassures the health conscious by touting the benefits of cricket flour.